Your private jungle paradise!Choose from Private Jungle Villas or Jungle Cottages or Luxury Tents, all set in amazing, picturesque settings. 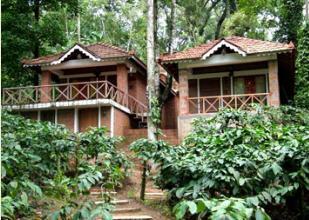 Jungle Retreat Wayanad is very different from a typical resort. In fact, ours is not a resort, it is your private jungle paradise! Set in the valleys of the towering Brahmagiri hills, between Tholpetty Wildlife Sanctuary and Nagarahole National Park, Jungle Retreat offers you a unique chance to come, unwind and be one with nature. 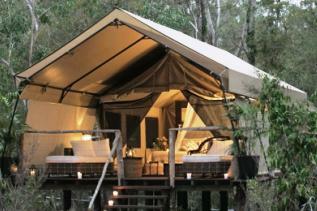 You can choose from luxurious villas to jungle cottages to luxury tents... all at a very affordable rate. We could customize the package to suit your interests, feel free to get in touch with us regarding the same. Herbal Garden, Fruit Garden, surrounded by thick lush jungle ideal for animal sightings, protected by electric fencing. Jungle Villas - Fully furnished villas set in the middle of the jungle. Comprises of a big bedroom, a large living room, a kitchen, bath and a spacious balcony facing the meadows and the jungle and the peaks beyond. 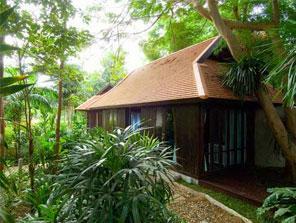 Jungle Cottage - Fully furnished cottages set in the middle of the jungle. Comprises of a big bedroom, a kitchen, bath and a spacious balcony facing the meadows and the jungle and the peaks beyond. Luxury tents - 25 Feet above the ground, gives you an amazing view of the meadows ahead. The star bed gives you a unique experience to nestle under the bright star-lit sky. Has built in bath, large bedrooms and private balcony. 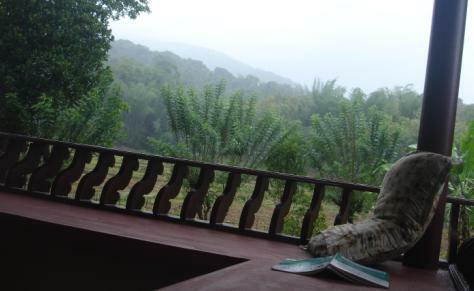 Property is on the Thirunelli Thopletty Road, 5Kms from Thirunelli Temple and 5 Kms from Tholpetty wildlife sanctuary.